Nowadays businesses became more international with the help of Internet technologies. So in order to compete successfully, market participants have to improve their webshops and make them even more convenient for their customers. The process of buying a product in your online store should be as easy as possible - even wrong currency could cost you a client! When a customer comes to your webshop he doesn't want to think how to change the price currency to know how much the product he wants to buy costs. Your potential clients want you to define their needs in advance and offer a solution before they even think about it! 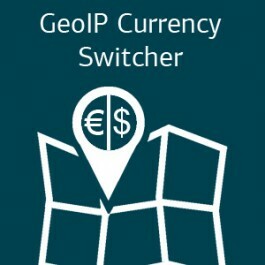 Our solution: Our Currency Auto Switcher extension detects the location of your website’s visitor using GeoIP technology and changes current price currency to the one which is actually used in the potential customer’s country. Wasn't selecting appropriate currency. Support guys said that that this was due to my server config. But in spite of this they solved it quickly. Works nice even without configuring anything. Good job, guys.